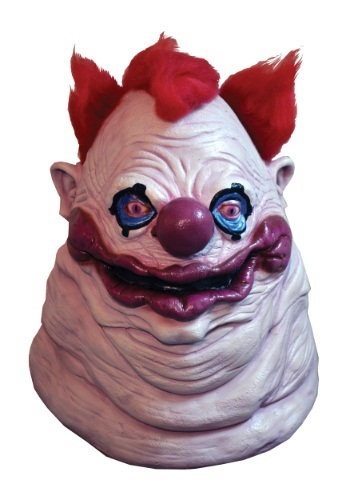 Killer Klowns Fatso Mask By: Trick or Treat Studios for the 2015 Costume season. You better get some cotton candy, popcorn, and all the tasty treats in the world to keep to keep this Killer Klown from Outer Space happy. If you don't fill him up with sugary goodness, then he will throw an acidic pie at you. You have been warned!